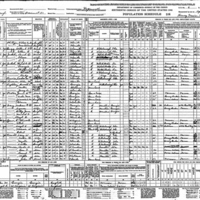 The U.S. Census population schedule for Election Precinct 51 in Hopewell, Florida, in 1940. Individuals are identified by name, titles and terms, gender, age, marital status, race, relationship to head of household, birthplace, birth year, the last place of residence, and occupation. A notable resident listed in this record was Private First Class (PFC) Clifford A. Judah (d. 1945). Judah was born to Elijah D. Judah (b. 1890) and Margie Judah (b. 1897) in Louisiana in 1925. The Judahs migrated from Louisiana to Hillsborough Count around 1935. PFC Judah enlisted in the U.S. Army on November 2, 1943 at Camp Blanding in Starke. The terms of his enlistment were through the duration of the World War II or other emergency military actions, as well as six months subject to the discretion of the president or other laws. PFC Judah served in the 315th Infantry Regiment of the 79th Infantry Division. The Army declared PFC Judah missing in action on January 15, 1945. PFC Judah died during the Battle of Hatten-Rittershoffen in Alsace, France, which was part of the Battle of the Bulge. The Army awarded PFC Judah the Bronze Star and the Purple Heart with Oak Leaf Cluster. The American Battle Monuments Commission memorialized PCF Judah under tablets of the missing in Epinal American Cemetery and Memorial in Dinozé, France. Originally created by Henry Irwin Bringle and published by the Bureau of the Census. "Clifford A Judah." FamilySearch. https://familysearch.org/ark:/61903/1:1:VTHP-BYW. Bringle, Henry Irwin. 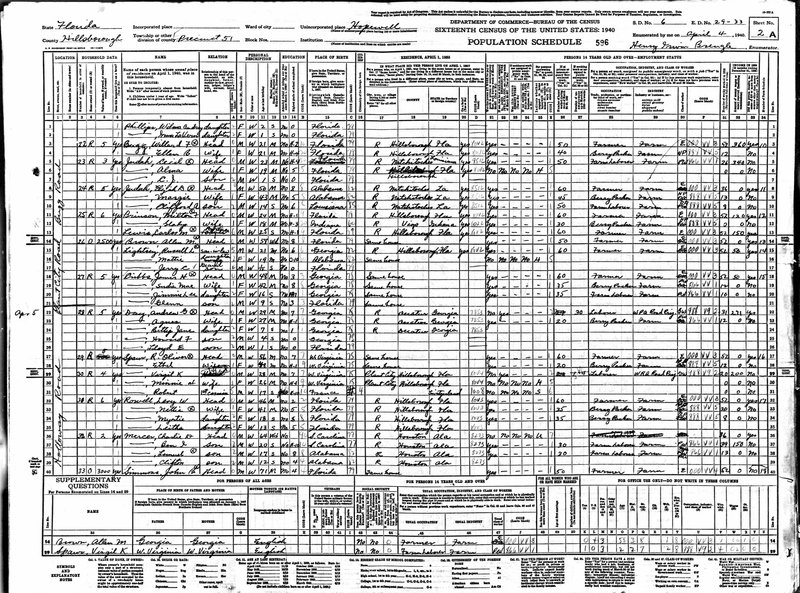 “Sixteenth Census Population Schedule for Hopewell.” RICHES of Central Florida accessed April 22, 2019, https://richesmi.cah.ucf.edu/omeka/items/show/9296.